Is it the end of the line for the Boeing 747 as a commercial passenger plane? It sure looks that way for the original jumbo jetliner. Once the largest passenger plane on Earth, the 747 has defined the company more than any other. Boeing (BA) earlier this month flew a 747-8 Intercontinental back to the company's base in Washington state from a paint shop in Portland. It was wearing the colors of Korean Air Lines and it is extremely likely that it is the last passenger 747 to ever be built. The airliner, which extends 250-feet and 2-inches long, will be delivered to Korean Air Lines in the coming weeks. Boeing doesn't expect the jumbo jet to make a big comeback. As part of its 20 year forecast, released annually, Boeing said there's no appreciable demand left for building new passenger 747s or for the rival Airbus A380, the world's largest passenger plane. Instead, it believes airlines will continue to prefer big twin-engine aircraft like its Boeing 777X or Airbus A350. Those smaller planes can now fly just as far as the huge jumbo jets while using less fuel. They also have fewer seats, which makes it easier for airlines to book them up. "Frankly we really don't see much demand for really big airplanes," said Randy Tinseth, Boeing vice president of marketing in June. "There will just be a handful moving forward. Things we do for VIPs, things we do for the president, military operations, but we don't see a significant demand for passenger 747-8s or A380s." There are still nearly 500 passenger 747s in service, according to Flightglobal Ascend, but those numbers are falling as they're retired and replaced. Boeing has delivered more than 1,500 since 1970. This 747-8 Intercontinental, which was recently delivered to Korean Air Lines, is extremely likely to be the last passenger 747 ever built. 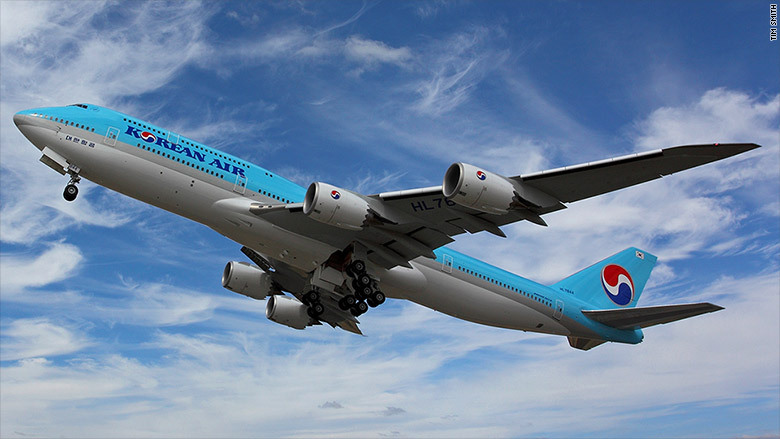 Korean says it has no plans to buy any more passenger 747-8s or A380s from either Boeing or Airbus. It currently operates both. The passenger version of the 747-8 first debuted in 2011 and was ordered by only a few airlines, including Korean, Lufthansa and Air China. The plane can seat up to 467 passengers and can fly as far as 8,000 nautical miles. According to Boeing's official order book, there are still two 747-8 passenger planes left to deliver. One is the final order for Korean Airlines and the other for an unidentified head of state. Boeing recently removed three 747-8s from its ledger that were originally bound for Russian airline Transaero. That airline went bust in October 2015. 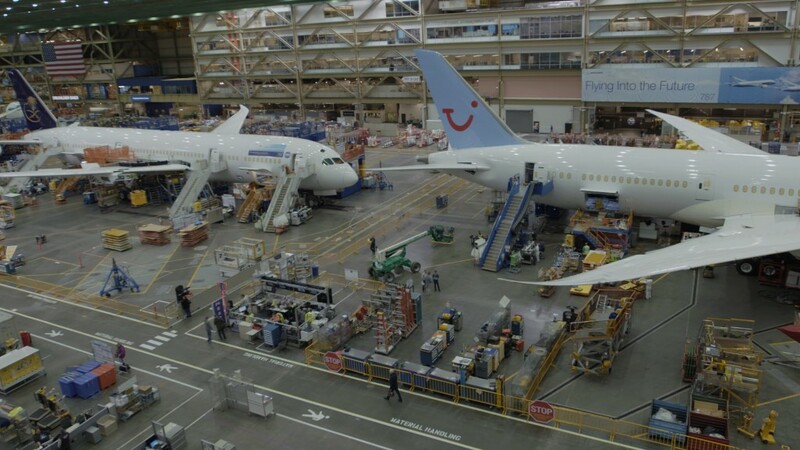 Two of the three planes it had had ordered were built by Boeing but never delivered. Those aircraft are now in storage and it's not clear where they'll end up. Boeing's iconic 747 will likely be built for at least a few more years to come, but with the exception of Air Force One or other VIP and military aircraft, all the jumbo jets that come off of its assembly line in Everett, Wash. will be dedicated freighter aircraft for carriers like UPS. "Going forward, sales of the airplane will be closely tied to the cargo market," said Tinseth. "Our work continues to secure additional 747-8 Freighter orders." Airbus (EADSF), too, is having trouble selling its double-decker A380. It's scaling back output, and in June, it unveiled a package of improvements to kickstart demand for the 575-passenger jet. By the end of 2017, United (UAL) and Delta (DAL) will have retired their last 747-400s, the generation that preceded the 747-8. No U.S. passenger airlines have purchased the 747-8. It will be the first time since the jet started flying with Pan American Airways, in January 1970, that the U.S. fleet has been without a 747 passenger plane on regularly scheduled service.